SO YOU WANT TO BE A SOLOPRENEUR? 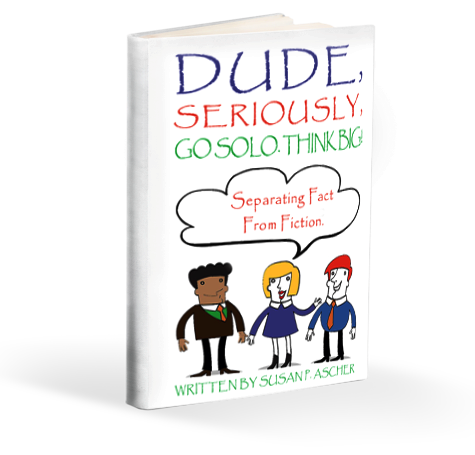 In my new e-book, “DUDE, SERIOUSLY, GO SOLO. THINK BIG,” I explore what it means to be a Solopreneur, not just by definition, but IN REALITY! We will separate fact from fiction to send you on your way to Solopreneur success. SIGN UP NOW TO GET YOUR FREE E-BOOK!